BRECKENRIDGE, Colo.  Sleeping guests inside a Breckenridge home were awakened early Friday morning to the sound of broken glass. Thinking they were being burglarized, the guests called 911. But when officers arrived on scene, they soon discovered the trespasser was not the typical troublemaker they regularly encounter. 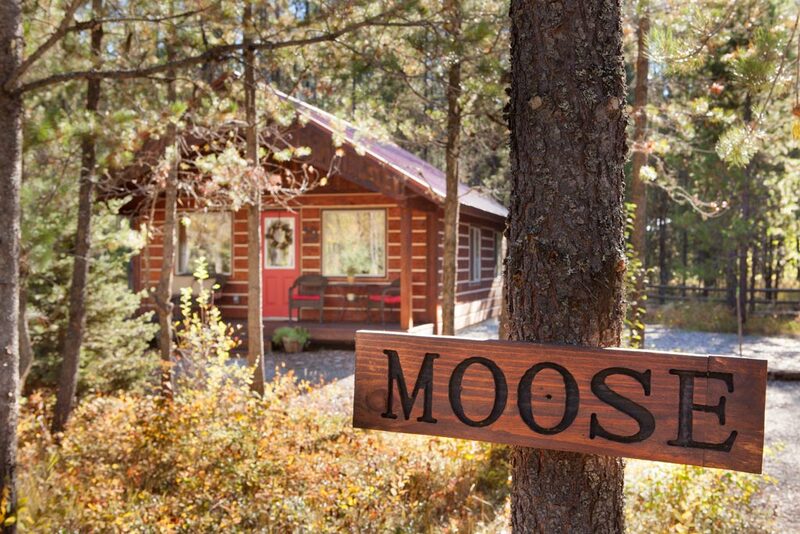 Breckenridge police found that a moose had crashed through a window in the homes basement. Colorado Parks and Wildlife were called and said the animal probably had had been walking around outside the house in deep snow when it fell into a window well. Although the cow had made a mess in the homes basement, the animal was calm and did not appear to be suffering any major injuries, wildlife officers said. Its not easy to maneuver in a tight space while trying to carry such a large, heavy animal, and the team worked with us to haul the moose up the stairs and get it out of the house, said CPW Wildlife Manager Elissa Slezak in the release. This is my sister's house. The moose was looking for some cheese. Pics and video at the link. Was there a squirrel with him? What about Boris and Natasha? Lucky she wasn’t bit like my sister. No all the squirrels are Washington, they heard that there was the biggest gathering of nuts there, ever! True story. this happened to us! We were asleep one night this past fall when our dog began barking furiously downstairs. A young calf moose had been brousing on some pyracantha which had overgrown our window well. We had to wait until 8:00 AM to report it to the sheriffs department of animal control. They in turn called Fish and Game. We soon had 3 trucks, one of which was a winch truck And 7 or 8 people in the driveway while Mama Moose retreated up the wood road, keeping an eye on what was going on. THe calf was tranquilized, then two men got down into the window well with a cargo net. They managed to get it under the calf and then winched it up. They carried it to the driveway and released it from the cargo net. We had pictures .taken with it before they tagged it and then reversed the tranquilizer. In very few minutes the calf was up on its feet and heading up the wood road to be reunited with Mama. It was quite e the morning!!! A moose once robbed my sister. My sister once robbed a moose. That was the moose’s plan all along. My wife and I were just skiing at Steamboat Springs a few weeks ago and saw fresh moose droppings on the ski trail. Must have missed the moose by minutes.